What a shock when I realised this morning that there are only 8 weeks of Stash Reports left this year. There are still so many unfinished projects on my To Do list for 2009! I felt a surge of panic — because, silly me, I am always setting unrealistic goals for myself. Then I took a deep breath and remembered that it’s not The End Of The World if I don’t get every single thing finished. I’ll just do the best I can and try to remember that quilting is a hobby for me, and it’s supposed to be fun! Please visit Judy’s blog to see how others are doing with their Stashbusting this week. Your top looks great and you are so close to being finished! Love those colors. I know the feeling about all those unfinished projects. I just found a few more to do. There is always tomorrow….. 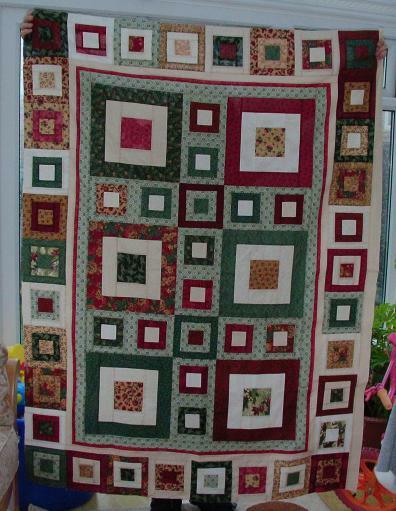 I love the freeze frame quilt–it’s on my “to do” list. AFTER I finish a few projects! And yes, it’s not the end of the world if you don’t get all your projects done by the end of the year. After all, new year, new goals!